The first assumption that we are „reasonable and decent as we are allowed to be” is shared with all left ideologies. You can not be a socialist or communist if you consider people as „inherently evil”. Left believe that this is culture, not nature, that cause bed social practices or crimes, that’s why an education is so important for them. But there is one difference between left and anarchist. Anarchist believe that autonomously people can act effective for the common good. Left people see the need of strong leadership, so they accept this kind of violence that comes from hierarchical structure. It can be state power but also any type of organization where there is a group of people whose leadership does not come from a really democratic procedure and whose are not evaluated by those who are at the lower levels of the structure. Probably most of organization that we are in are exactly this non-democratic type. And we can recognize a lot of (our own or our colleagues) practices that are aimed in changing this unfavorable power relations – directly or indirectly. Those are resistance actions. So we are trying to convince others to our point of view, we are trying to change the structure, we ignore commands, we do what we consider as a proper without regarding bans, we stop care, we cease to be involved in what we do, we start to play the solitaire instead to work. What and how long we are doing it depends on our temperament, upbringing, values, involvement in other matters, willingness to take a risk, assertiveness, the need to persevere in that organization for any reason (for example financial). I’m in this moment of my life that I’m willing to accept permanently „limitations and exceptions” of my autonomy done by others only if it is serious danger that my decisions would seriously hurt someone’s interest. I believe that if someone proved that is trustworthy should have broad autonomy. 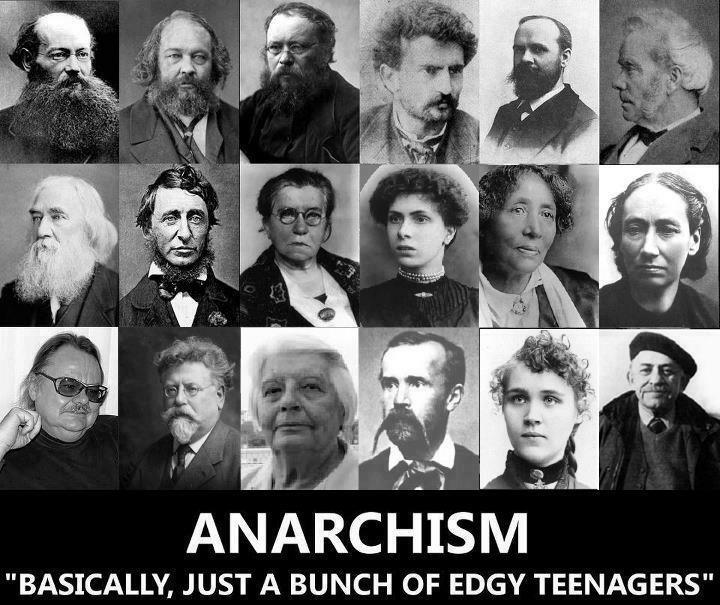 As Graeber wrote: „Anarchists are simply people who believe human beings are capable of behaving in a reasonable fashion without having to be forced to”. But a lot of people are sure that they can make people to do what they want from them only by using some kind of force. This is a problem „which came first, chicken or the egg” type. It seems that there is no answer but if you think outside the box, you realize that the egg was first, because reptiles laid eggs long before chickens appeared ;) This is how Graeber explain this seeming paradox: „If people are used to being treated like their opinions do not matter, they are likely to become angry and cynical, even violent — which of course makes it easy for those in power to say that their opinions do not matter. Once they understand that their opinions really do matter just as much as anyone else’s, they tend to become remarkably understanding. To cut a long story short: anarchists believe that for the most part it is power itself, and the effects of power, that make people stupid and irresponsible.” I would rather not call people stupid, but generally he made a point. Today is also first anniversary of suicide death of Aaron Swartz, young activist who deeply believed in free access to the knowledge. „Everyone has the right freely to participate in the cultural life of the community, to enjoy the arts and to share in scientific advancement and its benefits” as article 27th of Universal Declaration of Human Rights says. But somehow copyright is protected stronger then human rights in our culture. You should read his Guerilla Open Access Manifesto (translated into Polish by my friend Pawel Stankiewicz: openaccessmanifesto.org). EFF and other US org made him a patron of The day of protest against mass surveillance that will take place this February 11th.